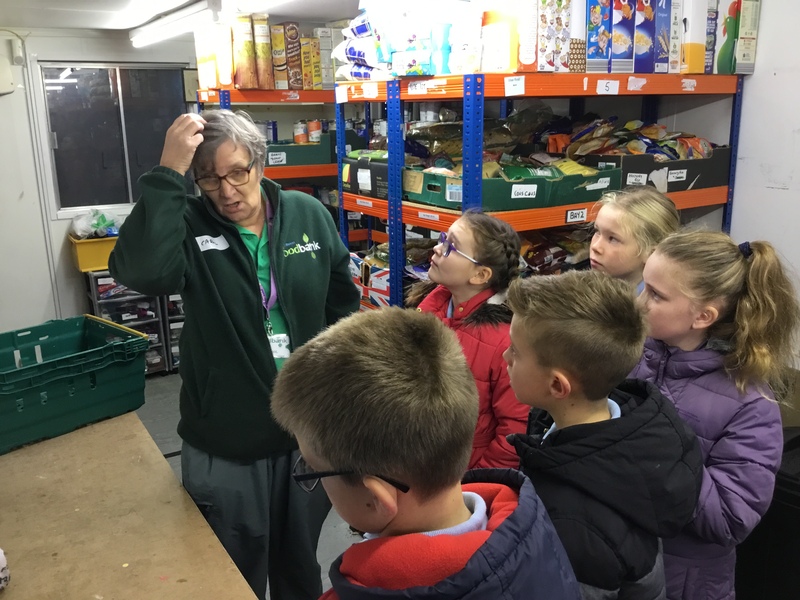 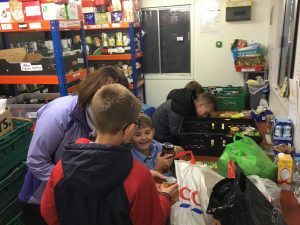 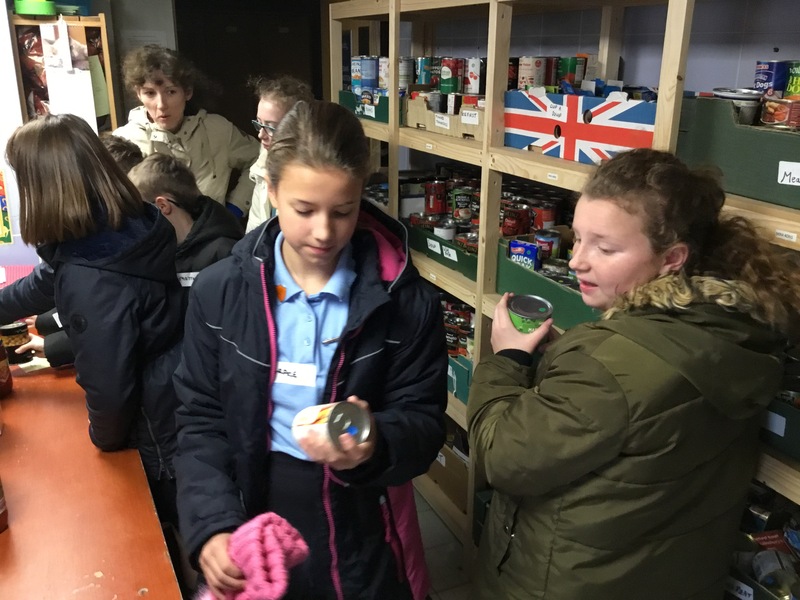 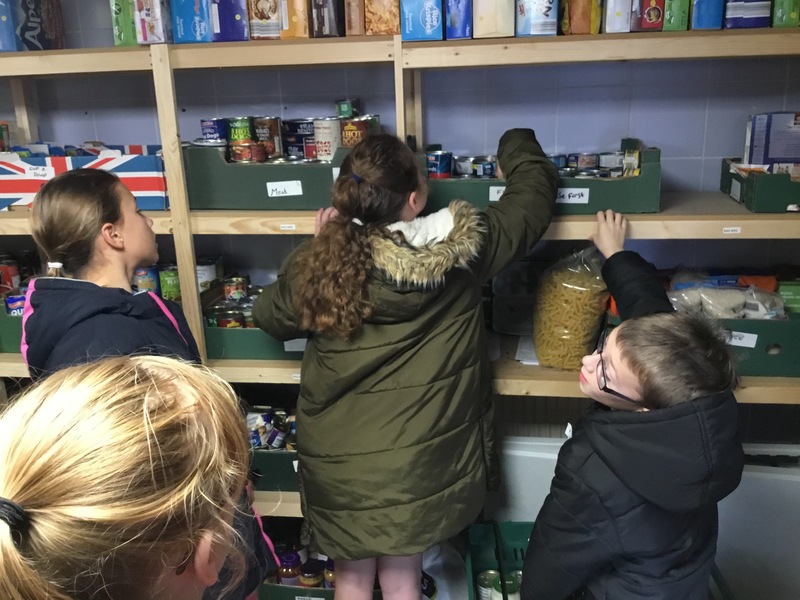 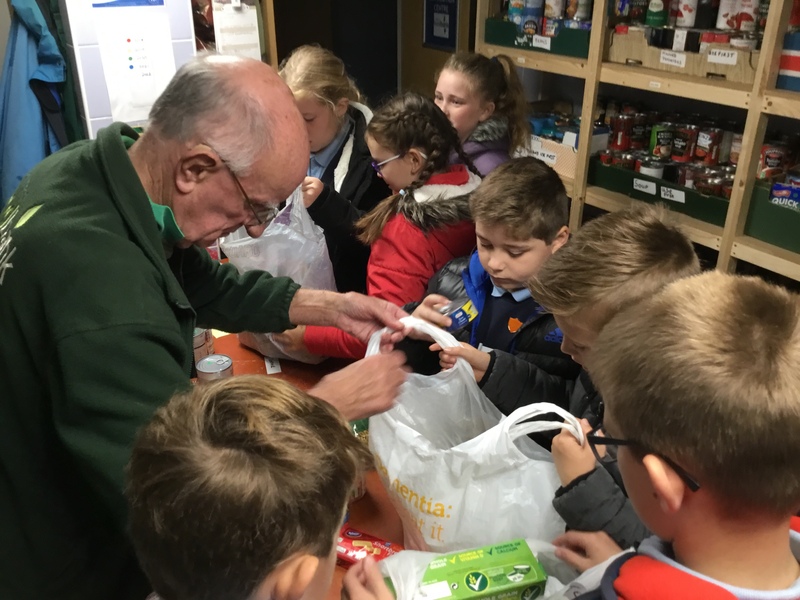 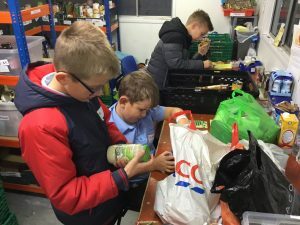 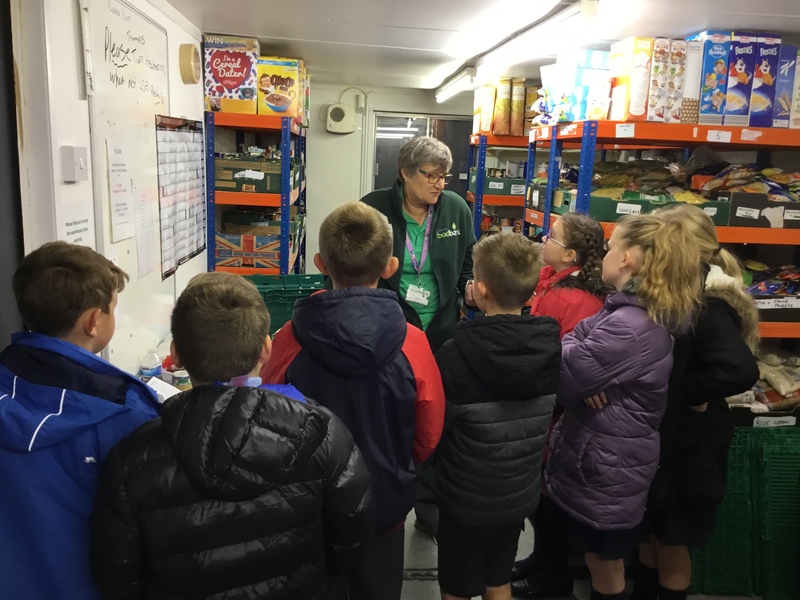 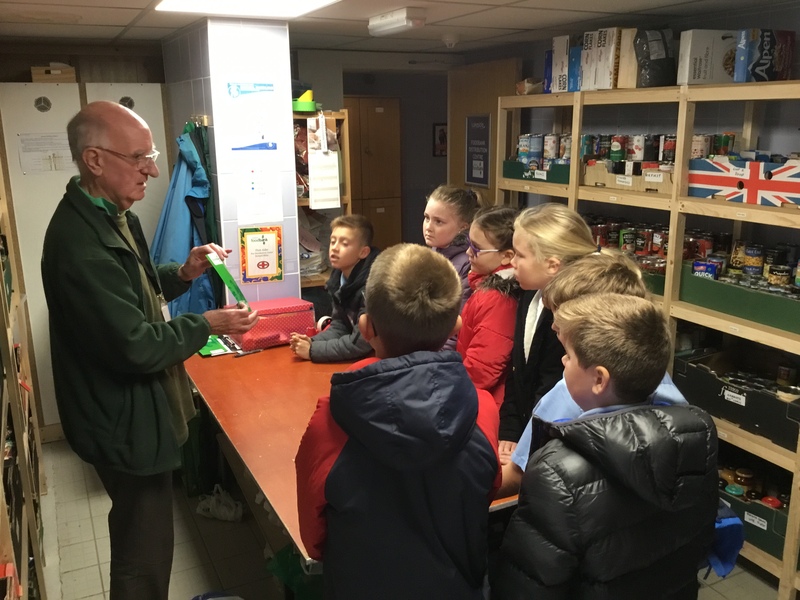 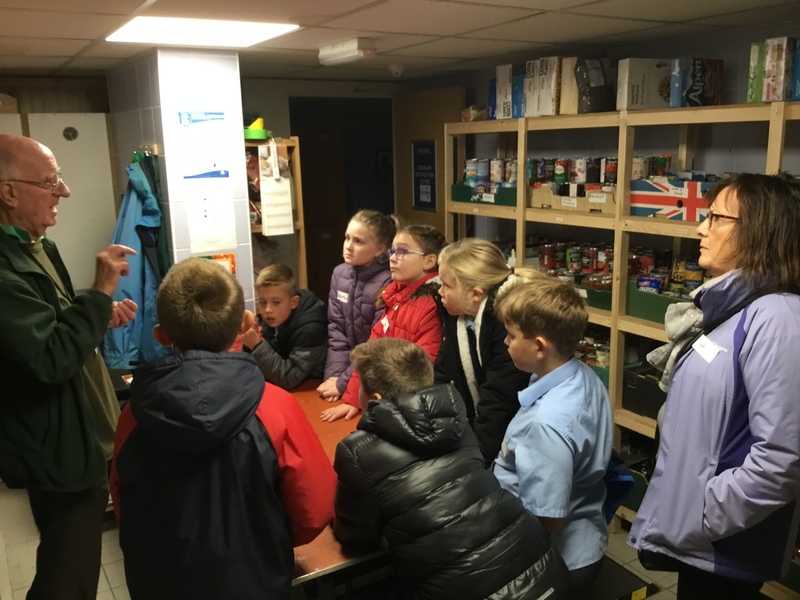 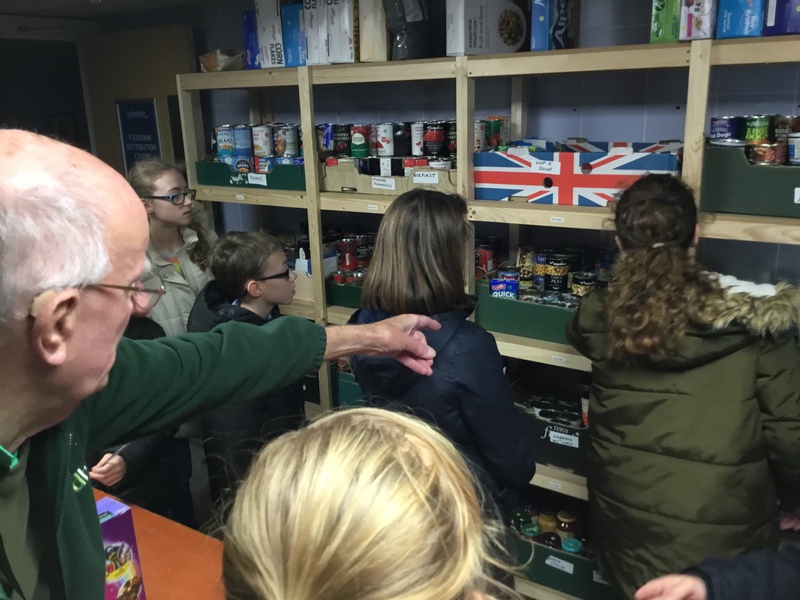 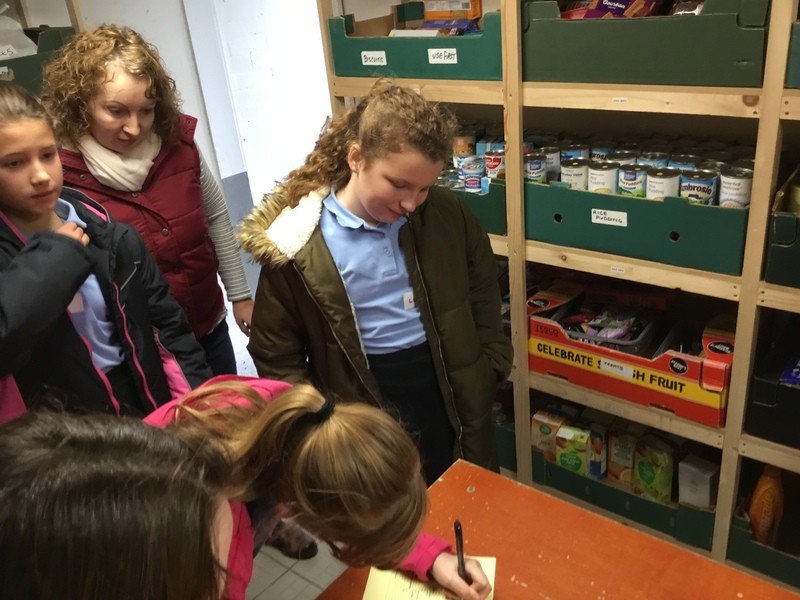 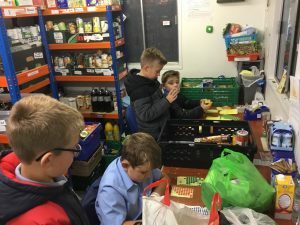 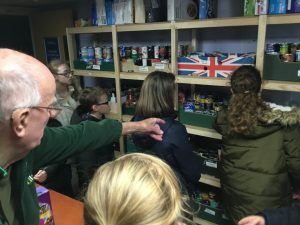 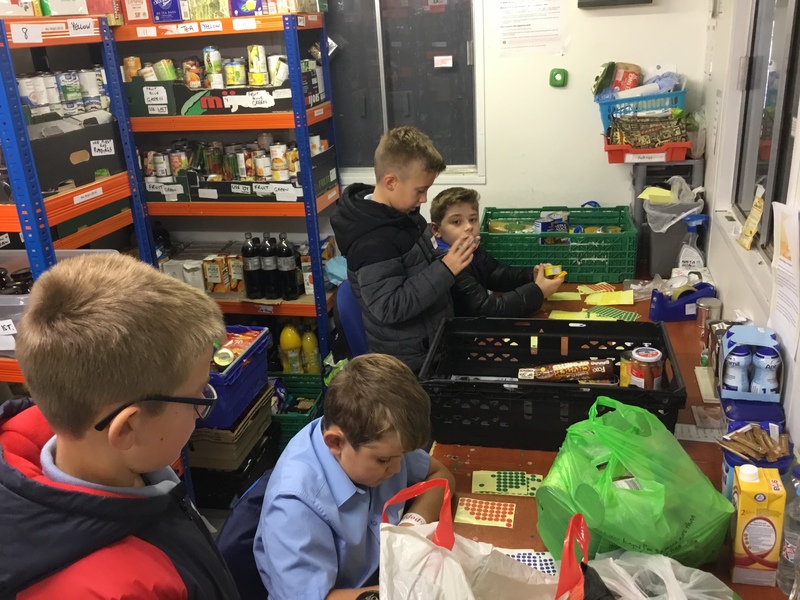 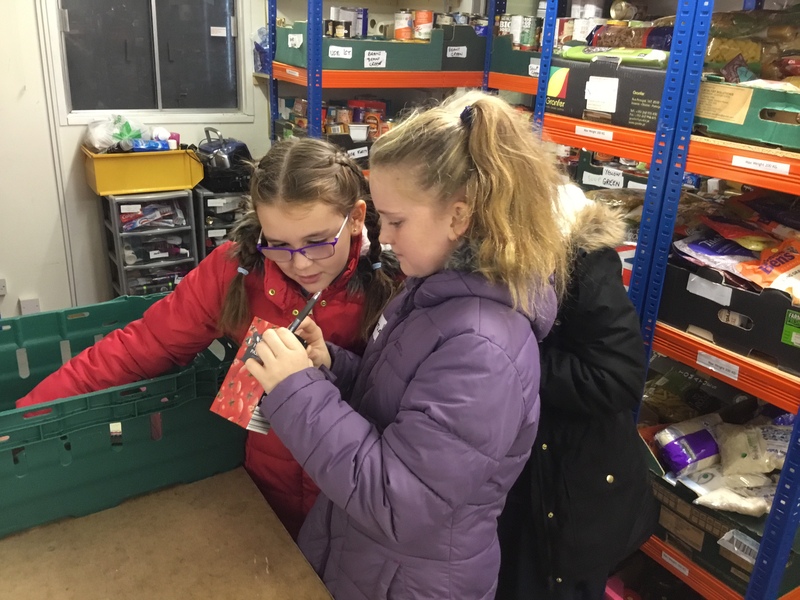 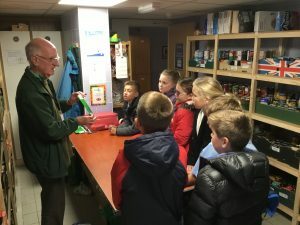 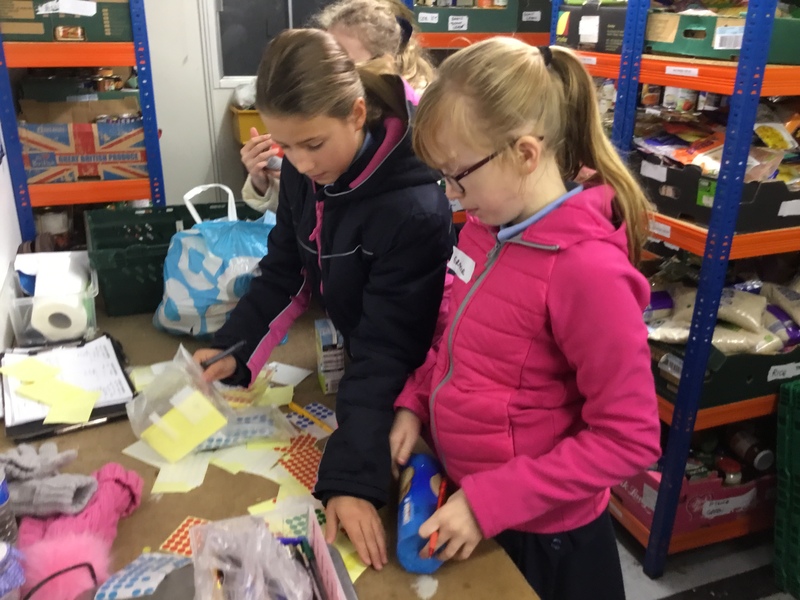 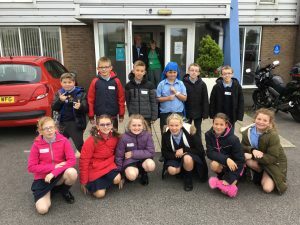 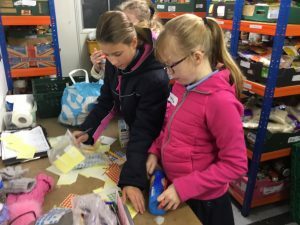 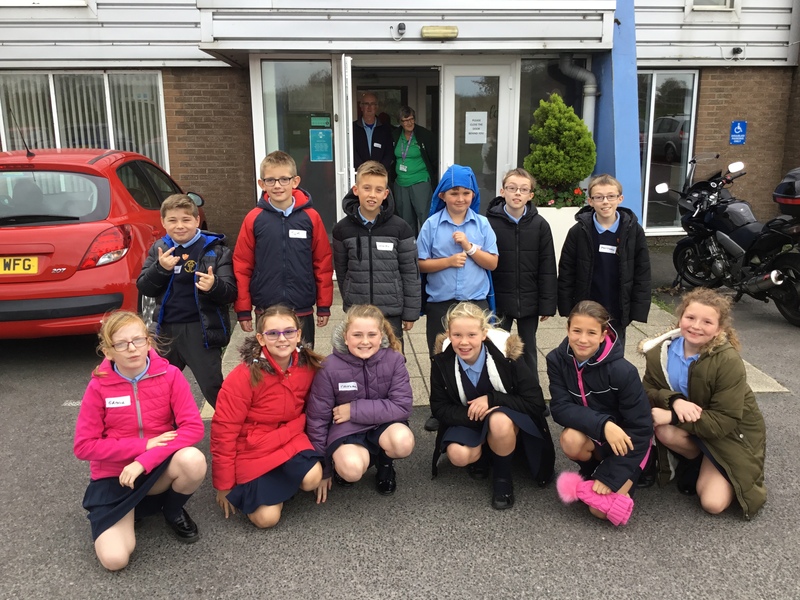 Our Worship and Justice Group went with Mr Marshall, Mrs Goodier, Mrs Link and Mrs Watkinson and a few other children from Y6 to the Southport Foodbank based at lakeside Church. 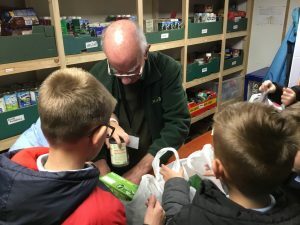 They took a huge amount of food from our harvest service. 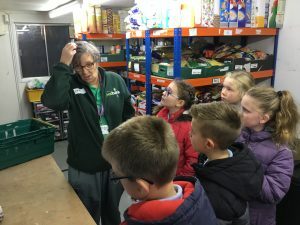 The children weighed the food and then helped Carol (a volunteer) to label it all according to date. This is then stacked on shelves in the small warehouse. 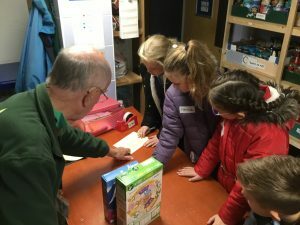 (A porta cabin!) 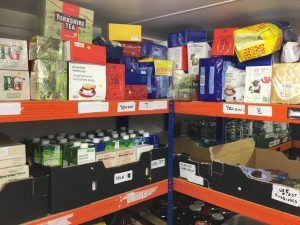 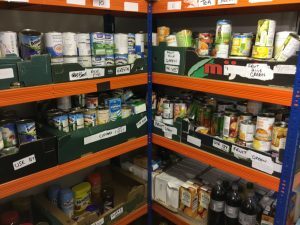 This warehouse supplies 5 different foodbanks in the Southport area including one based at Lakeside Church. 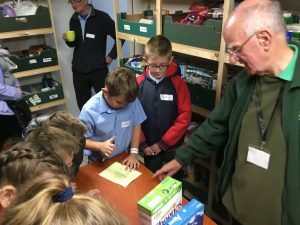 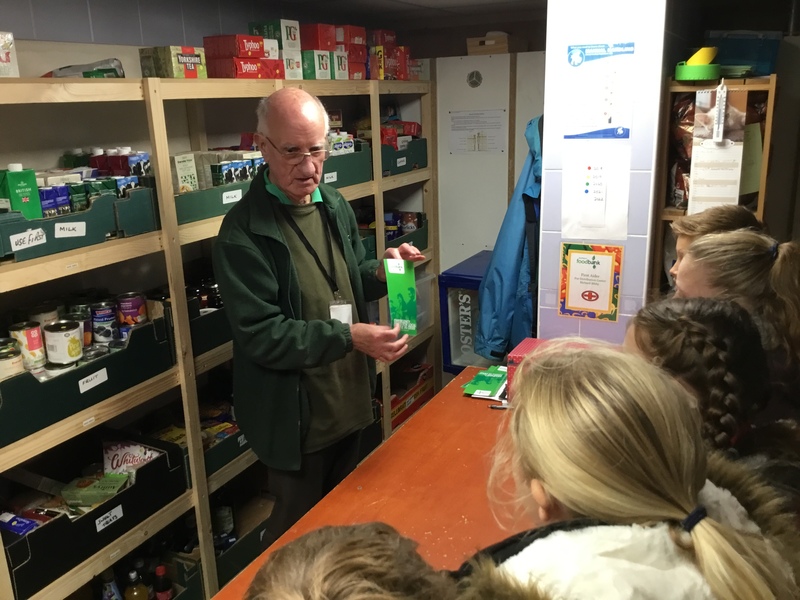 The children then helped Richard (another volunteer) in the foodbank section. 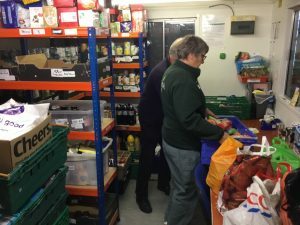 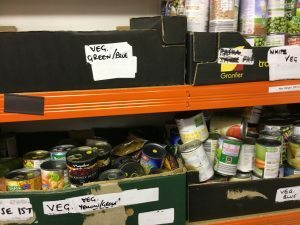 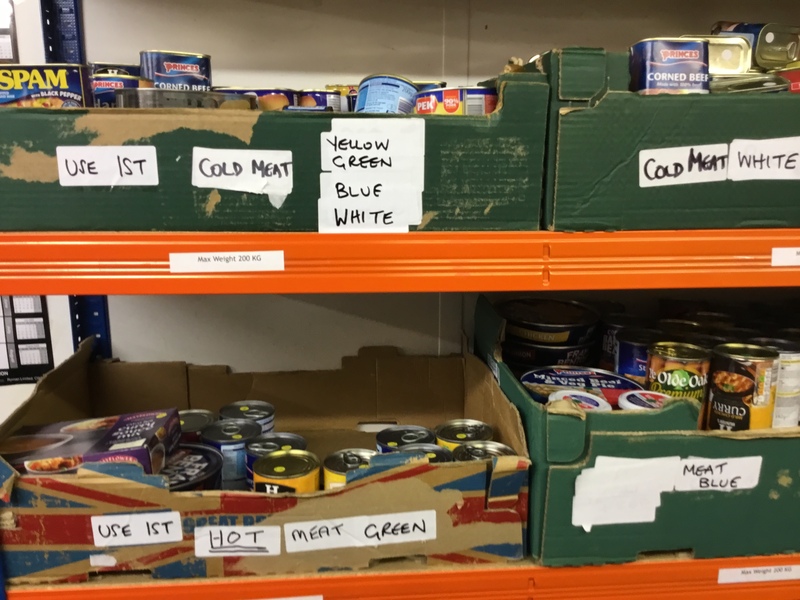 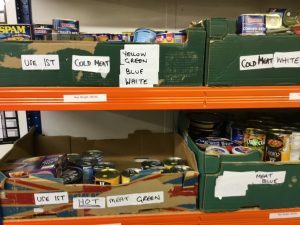 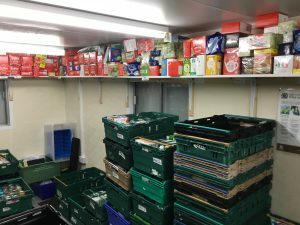 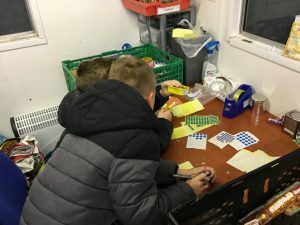 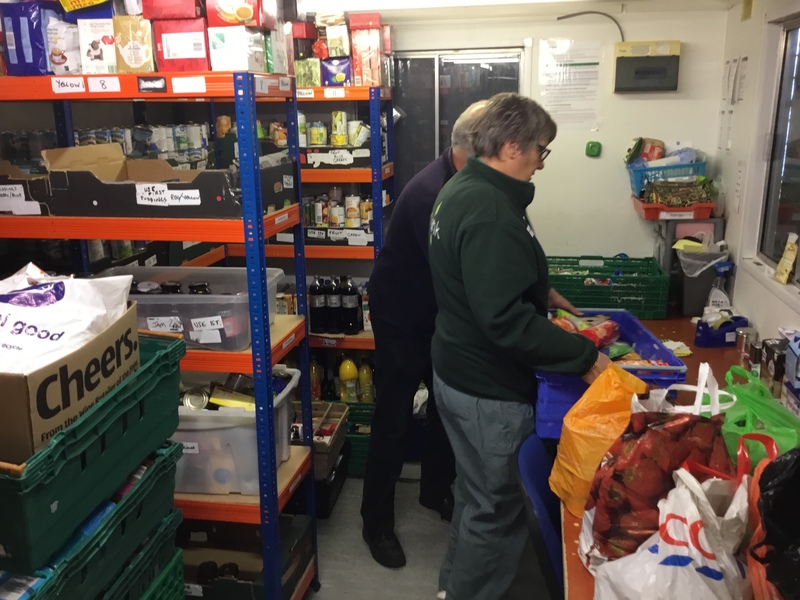 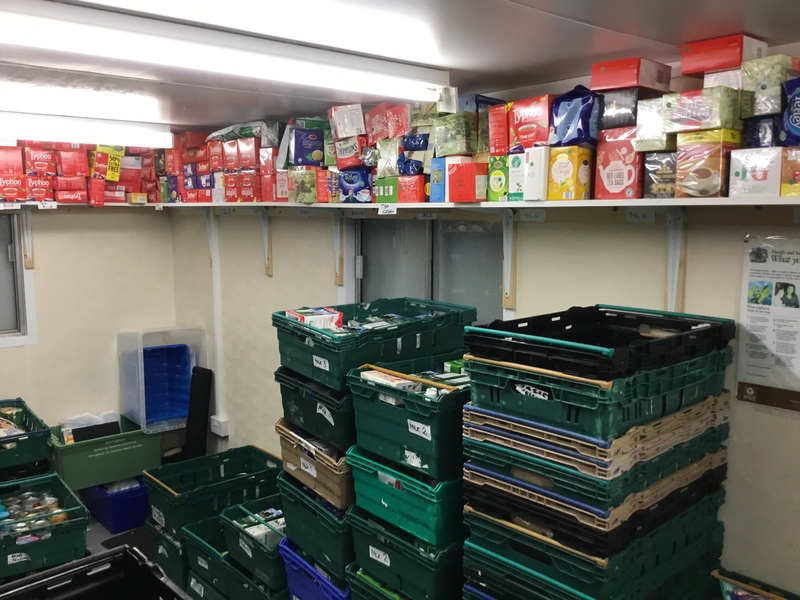 They used a list for one adult and collected the food off the shelves to fulfil the order. 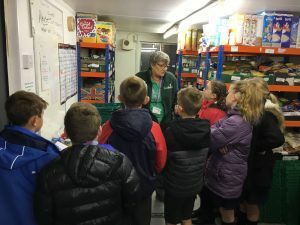 The children learnt the reasons why people need to use foodbanks. 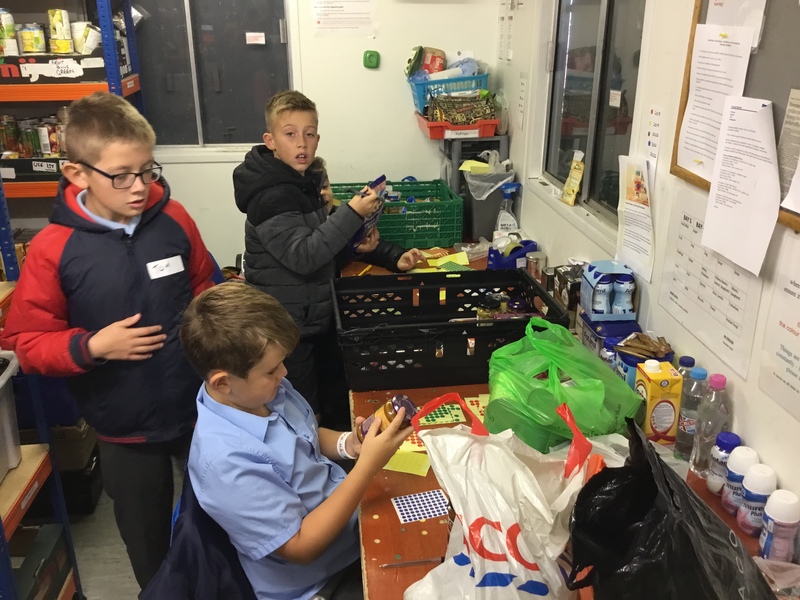 They learnt that people need to be referred by a doctor, social worker or other professionals. They are given a voucher which can be exchanged for 3 days of food. 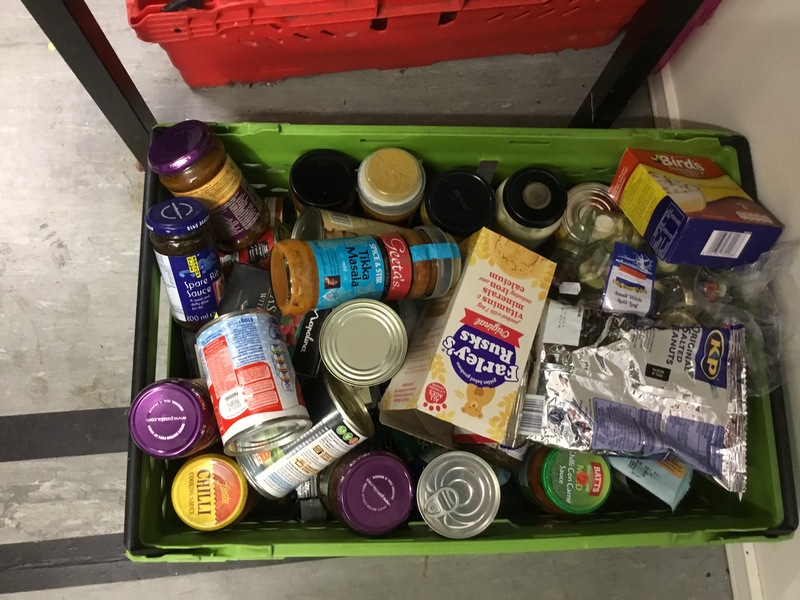 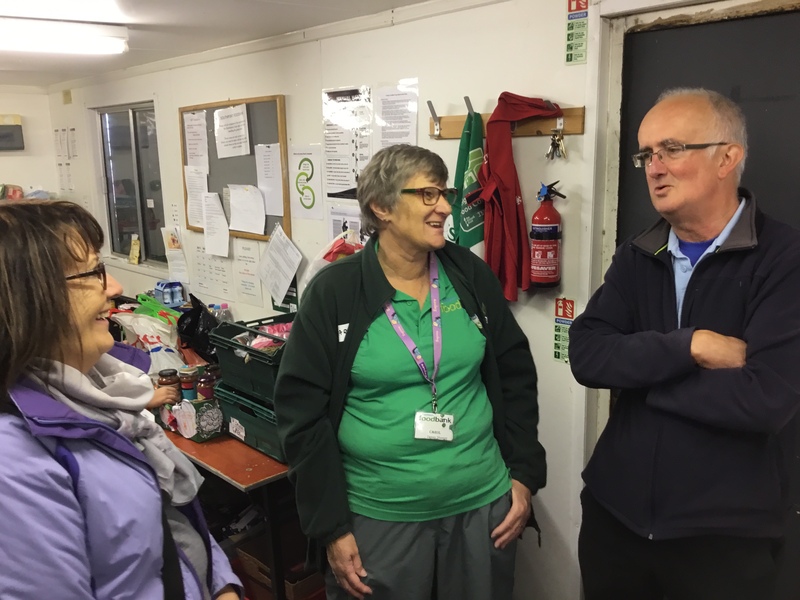 People are only allowed to use the foodbank for a short period to help them during difficult periods. Colin (another volunteer) helps to give people financial advice and help with budgeting. 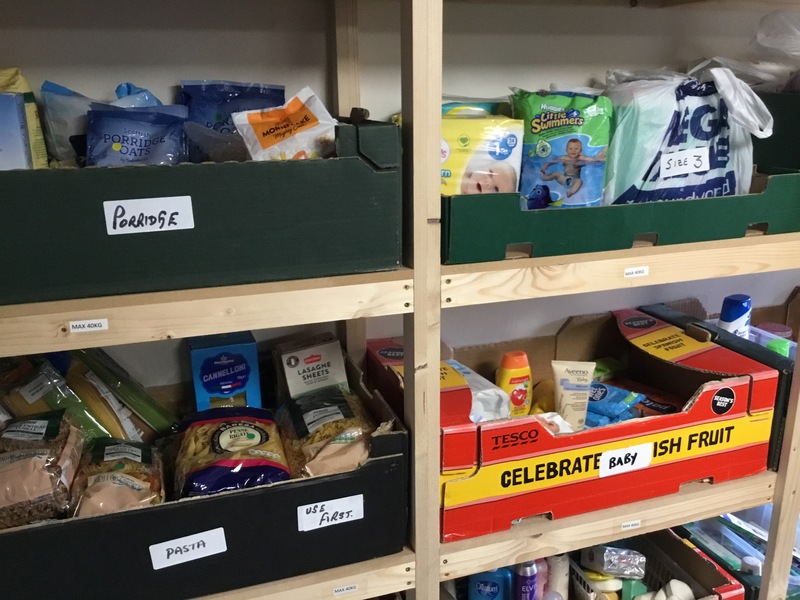 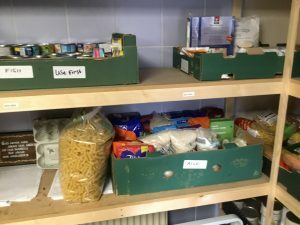 The foodbank also helps people with simple recipes and signposts people to other services that may help them. 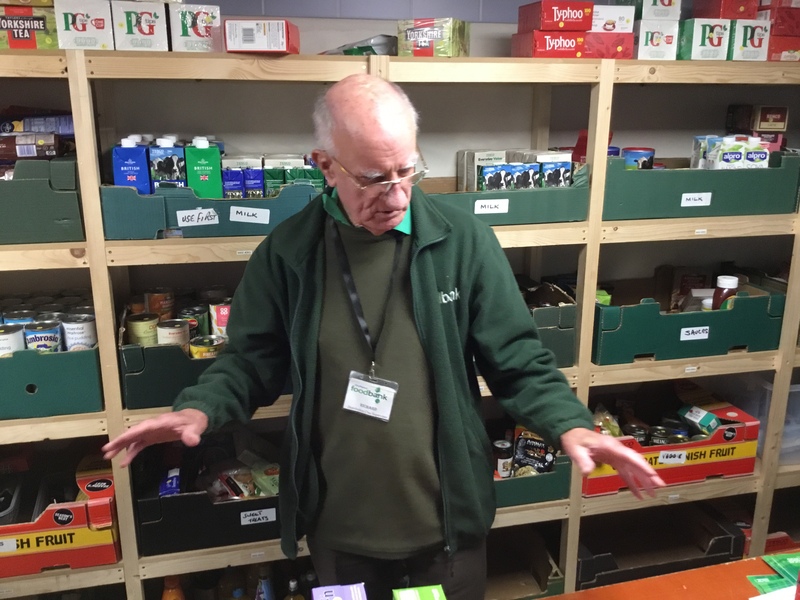 Colin told us that last year the Southport foodbanks helped 6000 people. 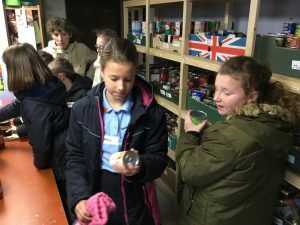 There are lots of people in need! 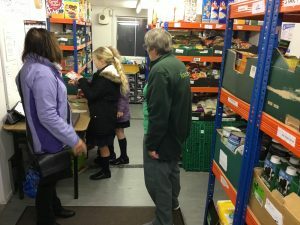 As always we at Tarleton Holy Trinity will continue to try and help. 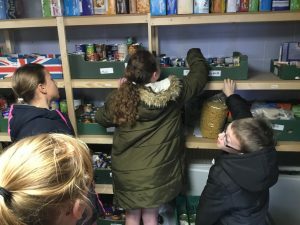 We will have another collection at Christmas to help. 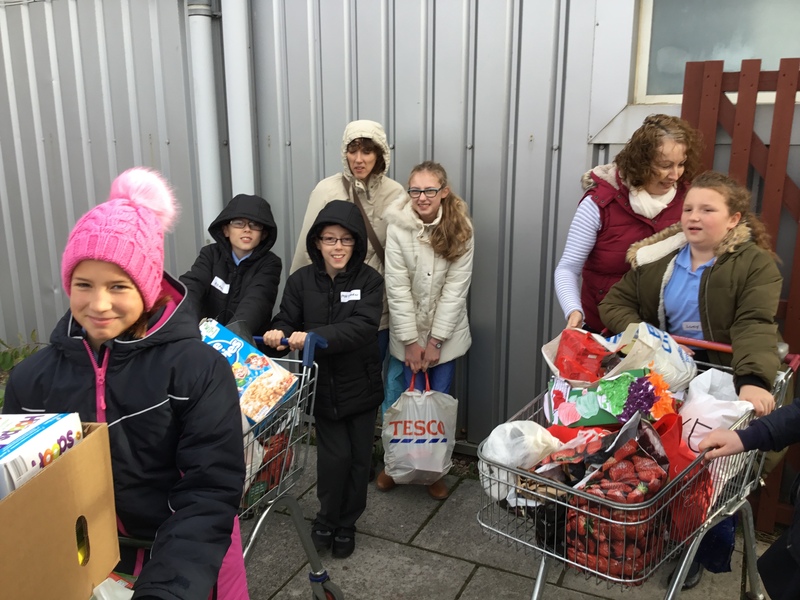 Thank you to all our parents and children who helped provide food.